Welcome to official site of Hittner d.o.o., a specialized company for production of forest tractors - skidders, agricultural small tractors and attachments, and all sorts of spare parts. 1987. Stjepan Hittner founded a craft-workshop ‘‘Metalservis’’ in Bjelovar, for service industry of servicing and maintenance of machines and facilities of all kind. Since then we passed a path of growth, from small craft workshop to a successful private company with over 80 workers employed. 1990. The workshop grows to be a limited liability company which continues with service industry and starts production of agricultural mechanization. In the end of year 2000. company produces the first prototype of forest skidder EcoTrac 33V, which proved to be extremely useful for needs of Croatian Forests company. From January 2001, starts production of the skidder. With continuous development and improvements of the small skidder, it grows to EcoTrac 55V. 2001. June: Due to a rapid production growth, METALSERVIS d.o.o. buys production halls of automobile parts factory in bankruptcy, TAD, and continues with business activities in new location, under the name METALSERVIS – TAD d.o.o., and expands it’s production program with automobile industry spare parts production. At the same time company starts to develop large forest skidder EcoTrac 72V, which became EcoTrac 120V by further development. Quality of our production organization and business direction priory to customers is grounded on ISO 9001 2000 certificate. Quality was recognized by our most important partner, Croatian forests, already at 1999. In cooperation with that public company and Forestry Faculty of Zagreb, Croatia, forest skidder EcoTrac was designed and produced, a company’s trump in breach to European market. Till now, over 250 small and over 195 large EcoTracs were produced. 2004. company changes name to ‘‘HITTNER’’ d.o.o. 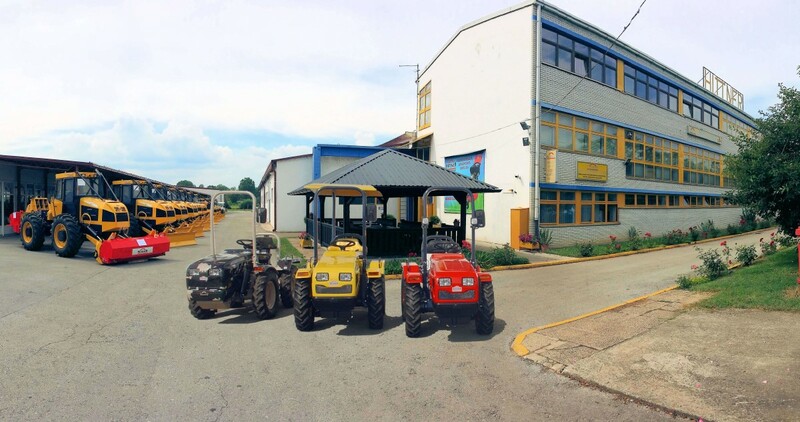 , and in year 2005., on 11. International livestock and economic trade fair in Gudovac near Bjelovar, company presents a prototype of small tractors EcoTrac 21, 30 and 32, constructed by pattern of small agricultural tractors by Tomo Vinković. Implementing new technologies and technical improvements, EcoTrac 21, 30 and 32 are worthy heiress to the worldwide known small tractor, and irrefutable proof of a great cooperation of tradition and modern technologies. During 2007. and 2008. we improved our machine park with 4 new sophisticated, last generation of tooling technology OKUMA machines. Together with the rest of our machine park for specialized and precise tooling, we are proud owners of arguably the most modern and equipped machine park in Croatia. 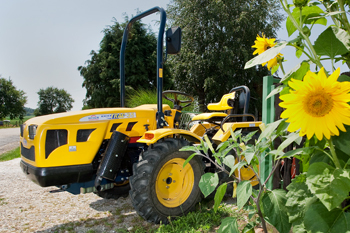 Following our companies demand for quality and high performance products, we mount on our tractors the DEUTZ and LOMBARDINI engines, and SAUER DANFOSS hydraulic pumps, which is the best proof of our serious intention for top quality. For several years in a row we have been included among the best entrepreneur companies in Croatia and as a special bonus to our efforts in becoming leader and a role model of quality and business excellence in the year 2008 awarded with ‘‘Golden Croatian Mink Award’’ for excellent business activity, and “Croatian Gazele Award” for fast reactions and adaptation to the market changes, advanced business philosophy, use and fast application of new knowledge, and growth on basis of innovation. Continuous care of our customers, the successful development and application of new technologies in business, resulted in acquisition international quality certificate ISO 9001 and 14001.